Acquire Titanium Plates from us in grade 2, grade 5, grade 12 and many more! 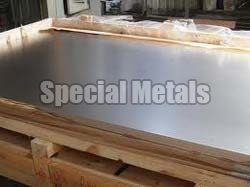 We are a well-known Exporter, Importer and Supplier of Titanium Plates from Maharashtra, India. The Titanium plates available in grade 2, grade 5, grade 12 and many more grades. Available in different sizes and thickness are provided by us in a gamut of sizes and thicknesses. Our procurement team makes sure that the sourced products comply with all the stated international quality standards. Packaging Details The Packaging Which We Provide is of Top Quality and Export Worthy Ensuring Safety of the Product from Any Kind of Damage.